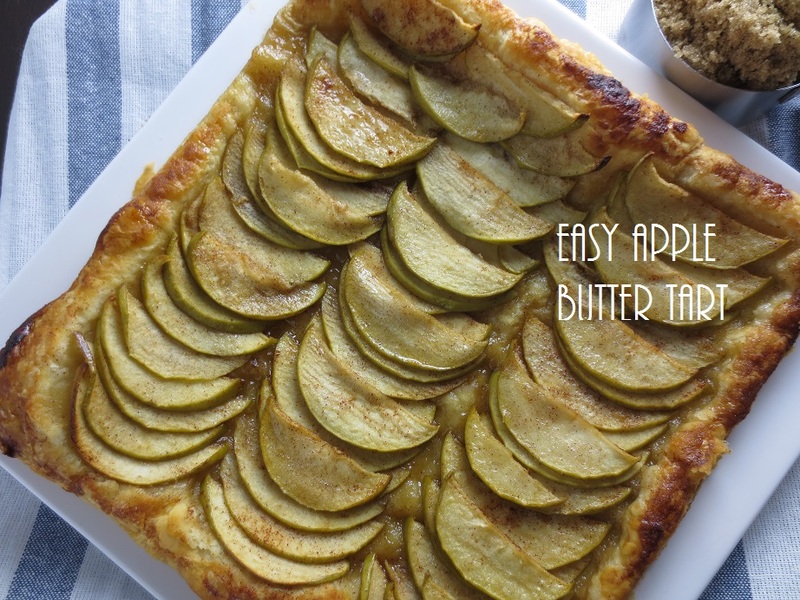 It looks like easy recipes are dominating for me lately! While we try our best to get the new house unpacked and livable, baking has taken a bit more of a backseat. That being said, this recipe really packs in the flavor, and it looks amazing too! Anyways, I decided that puff pastry was the answer- and when ISN’T it the answer really? Here’s how it goes down- thaw your pastry, and get unfolded on a baking sheet. I lined mine with a silpat, but parchment paper will work too as it will kind ooz a bit, and dishes are for suckers! Slice 2 granny smith apples as thin as possible- no peeling needed. 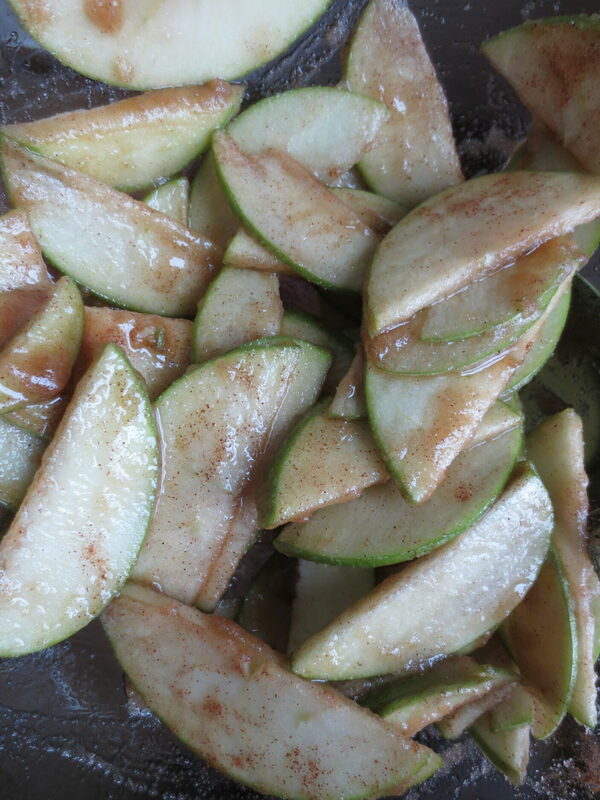 Throw them in a bowl with 1/2 cup brown sugar, 1/4 regular sugar, and 1 teaspoon of cinnamon. 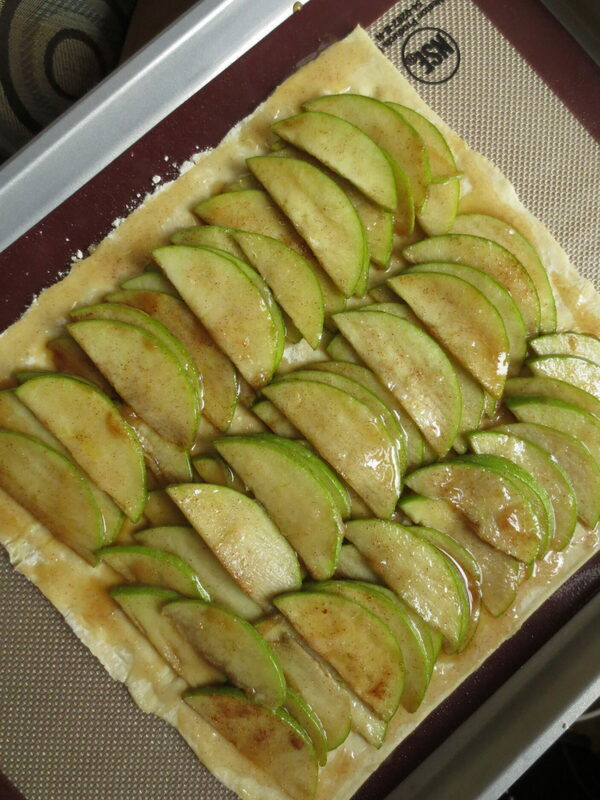 Then, lay em out over the top of the pastry in rows, or however you prefer really. Overlap them, put them on top of each other, just get those apple slices on that baby. Leave some room on the edges for the pastry to puff up all pretty. I brushed some butter with cinnamon and sugar onto the sides, but it’s wonderful either way! 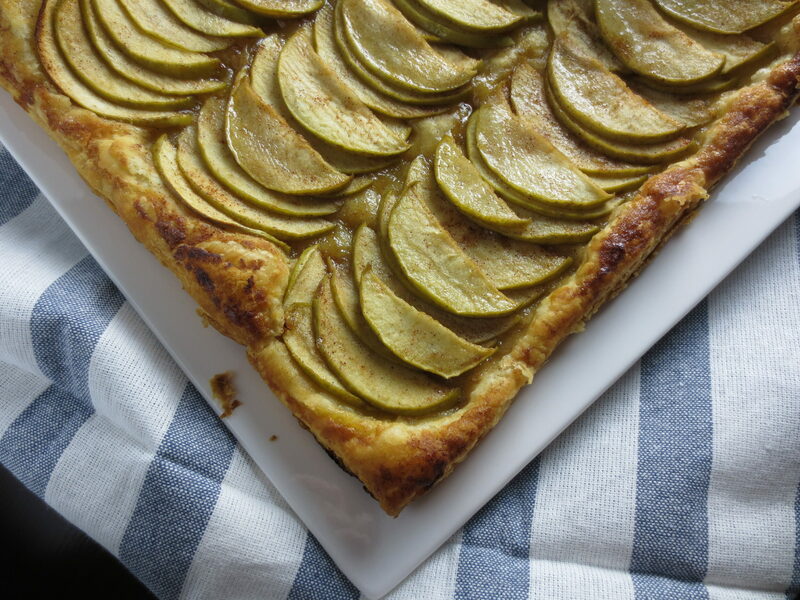 Bake it up, and enjoy the easiest pretty thing you’ve ever made! Thaw your puff pastry, and unfold it onto your baking sheet. Core your apples, or just slice around the core, and slice them as thin as possible. Layer them on top of the pastry dough in some pretty fashion. Bake at 400 degrees for 15-20 minutes, or until the dough is fully cooked.